Today I’ll begin a new category of posts on Azmind: the Quick Tutorials category. Here I’ll publish (relatively) short articles where I explain how to do a certain thing (customization, modification) with my templates, how to fix a web development problem, etc. I’ll get the tutorial ideas usually from the questions you make in the templates’ pages and also from my everyday web development work. Keep in mind that your questions will not become all tutorials and if you want quick support for the free templates, you can get it with my paid support option. So, let’s begin with today’s quick tutorial. 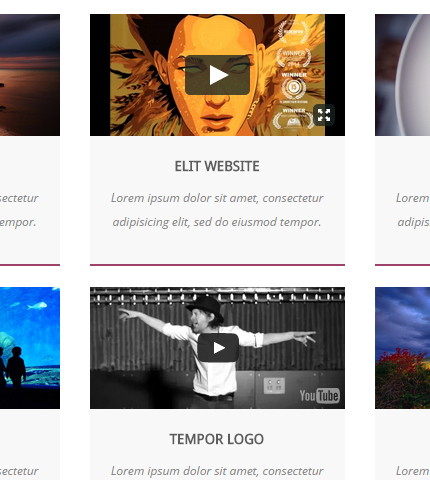 In the last update of the Andia Bootstrap template I added the possibility to use videos (YouTube and Vimeo) as portfolio items. As you can see in the image below, the videos are shown as image (screenshot) thumbnails with a small icon in the top right corner of the portfolio item. When the user clicks on the thumbnail, a popup with the video is opened. In this tutorial we’ll add another type of item: a portfolio item that uses the embedded video as thumbnail and also opens the (big) video as a popup. This time we’ll make the popup to open only when the user clicks the item’s title (for all items, so we have a homogeneous portfolio). Take a look at the live preview at the end of the article to see what I’m talking about. 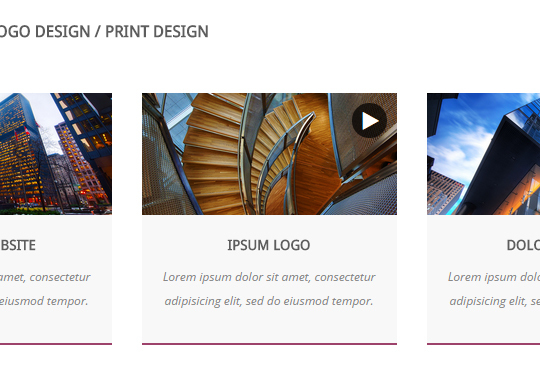 Here is the HTML of an image portfolio item. The “data-at2x” attribute is used from the “retina.js” plugin. We’ll talk about it in another tutorial. 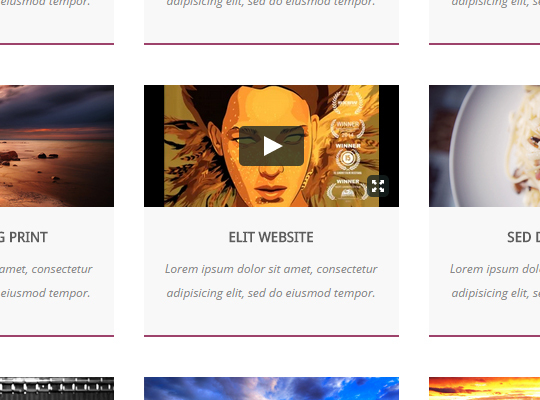 Here is the HTML of a portfolio video item that uses an image (screenshot) as thumbnail. As you can see, we add the class “portfolio-video” to the “portfolio-box-container” div. This will tell the popup that we have a video element. Also we’ve added the attribute “data-portfolio-big” to put the video URL. In the “i” tag we have the small icon. In this case we use the “portfolio-video” class and “data-portfolio-big” attribute, as above. But we don’t want an image as thumbnail! Instead we use the Bootstrap Responsive Embed for an iframe embedded video thumbnail. Now we have to make the popup slider work. It must open when the user clicks on the titles of the portfolio items! You can see a live preview of this version of the portfolio from the link below. If you like it you can download and use it. Also, I might include it in an official version of the template in the future. However, I think the previous solution (with image thumbnails) is lighter!